President Mario Draghi bought 2 trln euros of government bonds to boost the economy. But some proceeds were used to buy debt issued by non-euro zone companies, or left in bank deposits, the BIS says, diluting the impact. Though mainstream, money-printing remains an imprecise tool. A huge Euro logo is pictured past the headquarters of the European Central Bank in Frankfurt, September 29, 2011. 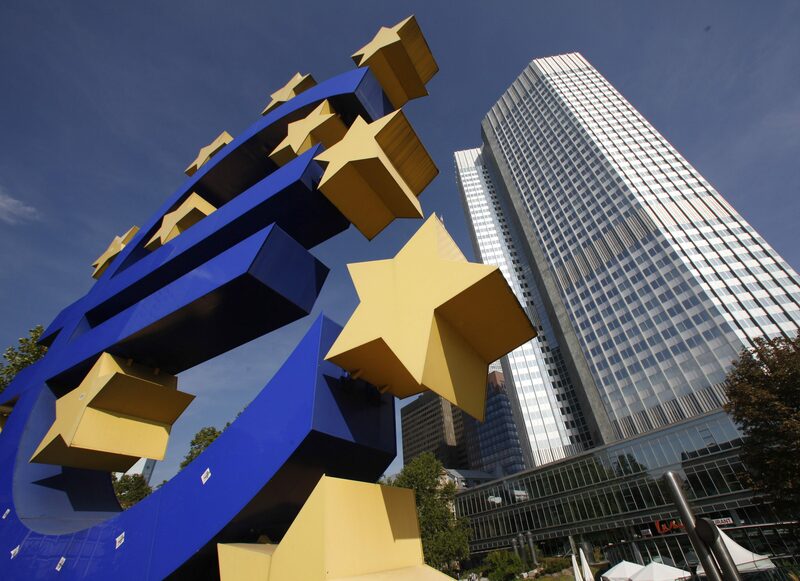 The European Central Bank’s expanded asset purchase programme saw non-bank financial institutions located outside the euro zone sell large volumes of euro zone government bonds and keep a substantial fraction of the proceeds as euro-denominated deposits, primarily in UK-resident banks, according to a paper in the Bank of International Settlements’ quarterly review that was published on March 5. Investors outside the euro zone accounted for roughly half of net sales to the ECB under the central bank’s asset purchase programme. The BIS paper found that between the end of 2014 and the end of 2017, the increase in euro-denominated deposits outside the single currency area amounted to almost 20 percent of the total volume of public sector securities sold to the ECB by non-euro zone investors.